Leo Lapito built a successful career in financial services by reminding his clients that careful financial planning is a pathway to a comfortable retirement. As he neared retirement age after some 40 years in the business, Leo made sure to practice what he had been preaching for all of those years. That involved setting up a detailed succession plan for when it was time to sell the business. Experts say that developing a sound succession plan is one of the most important decisions you can make as a business owner. In Leo’s case, he didn’t have to go far to find the right buyer. Leo often illustrated the importance of financial planning by citing a widely circulated study that found that many people who worked until they had reached full retirement age died just 18 months later. By contrast, those who retired at age 55 had a 36-year life expectancy. A 2002 paper authored by Sing Lin is based on a study of retirees from Boeing Corp. Leo said he still takes that study to heart. Leo’s son Gabe came to work at Strategic Retirement Plans in 2007. But it wasn’t until a few years later that the two began talking about the possibility of the father eventually handing over the reins of the business to the son. Strategic Retirement Plans is a wealth management firm that helps create income streams for its clients. The firm manages some $165 million in assets for its clients. Hard work was nothing new for the younger Lapito. He attended Creighton University on a baseball scholarship and was already well on his way to earning a master’s of business administration degree when he graduated with an accounting degree in the spring of 2005. After wrapping up his CPA certification and the MBA, Gabe worked for a large accounting firm. But before long a young man with a life-long love for numbers found himself yearning to ditch the account’s green eyeshade. “I wasn’t built to be a CPA,” he said. “I wasn’t built for it mentally.” While he had developed considerable expertise in accounting, “the language of business,” as he puts it, he decided a career change was in order. That path led him to his dad’s business. When he started working for Strategic Retirement Plans, Gabe approached the challenge with the understanding that he would have to prove himself just like anybody else who went to work there. As the transition plan started taking shape, Gabe took over management of the firm’s day-to-day operations. As one might guess, part of the process included updating technology and developing rapport with employees, several of whom got to know him before he went off to college. Meeting with clients is an important part of financial services. As Leo explains, Gabe usually sat in and listened during client meetings early in his tenure. As Gabe gained experience, he took over client meetings while Leo sat by to listen. Eventually, Gabe made the transition and began handing client meetings by himself. As the plan progressed, they consulted with accountants and attorneys to make sure everything was set up correctly. They established a value and agreed on a price. 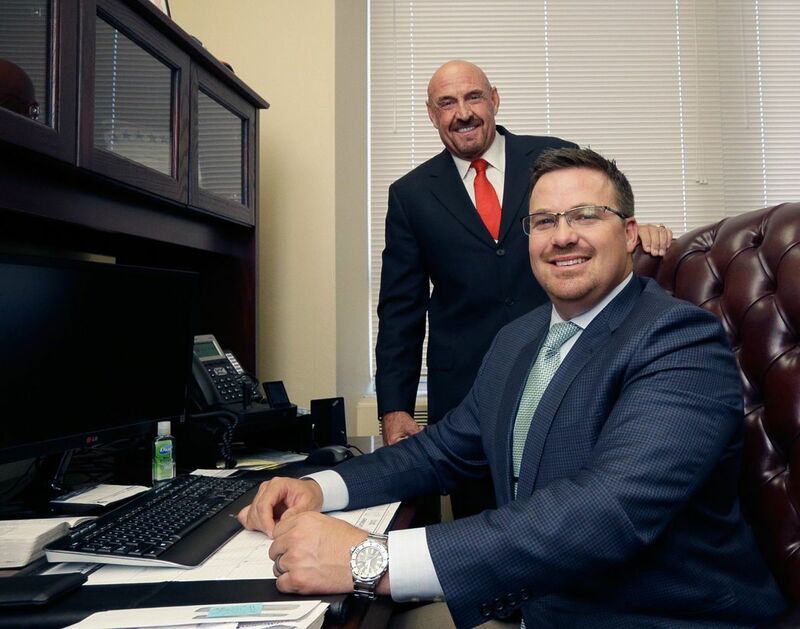 InvestmentNews, http://www.investmentnews.com, a weekly magazine and video publication that caters to financial planning professionals, featured the Lapitos and their succession plan in a five-part series on business succession. The film crew captured a slice of the Montana lifestyle, and the Lapitos were shown doing what many Montanans do — fishing and dressed up in hunting gear. The show frequently features investment firms that grappling with problems and need a makeover. The feature on the Lapitos was a little different form past programs because it showed a firm that had already taken steps for a smooth transition. It has been two years since Leo, now 64, decided to turn the operation over to Gabe, 32. The transition went smoothly, he said, in part because they had mapped out a detailed succession plan. Leo drops by the office on occasion, but Gabe still refers to him as his “deep bench,” a trusted source who can provide advice on a variety of topics.